Stunning, renovated, gorgeous, corner/end townhouse in the well known vacation resort Windsor Hills, 3 bedrooms (one main floor and two upstairs), plus 3 full bathrooms, tile on first floor, laminated wood on stairs and second floor, granite counters in kitchen and bathrooms, exquisite furniture that maximize the space, private splash pool, backs to open space, and walking distance to the club house. 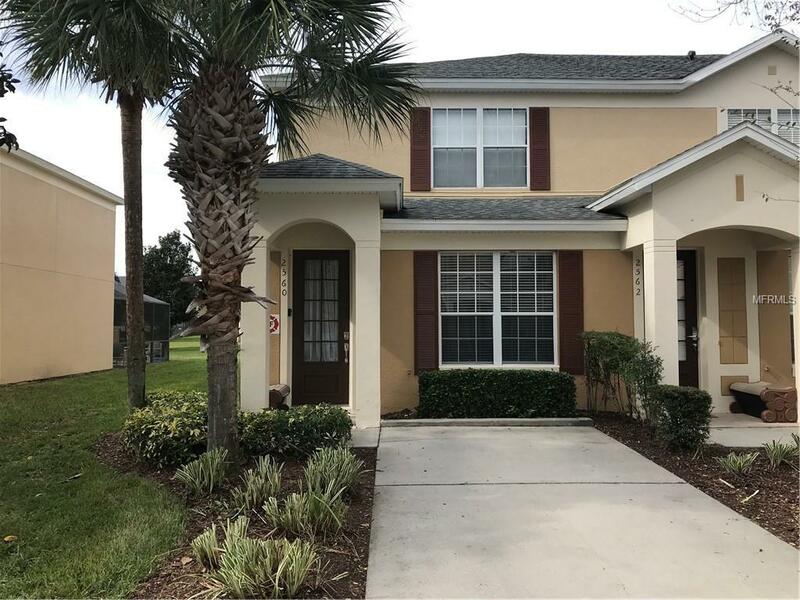 This home offers owners, families and visitors a fantastic vacation community close to all the attractions, shopping, restaurants and much more. Windsor Hills is a well known resort style vacation community that offers fun and relaxation for every age. Perfect for the days that you need a break from the parks and shopping! Knowing the whole family can enjoy the super FUN new water park!! !, jacuzzi, tennis and basketball courts, picnic area, playgrounds, sand volleyball, movie theater, gym, game room, and convenience store which are all located on site. This community is a repeat place for many vacationers and families from around the world. If you are looking to own a vacation home as an investment, Windsor Hills is the place: no restrictions, rent for a night or a month. Are you thinking of a second home close to the attractions or to retire in this Magic area? Don't think too much, as this is the place you are looking for! Holidays are here!! Don't miss it! !, Call for an appointment today! !